Well known and loved for it's shabby chic styling, painted furniture a-plenty, bespoke lampshades and quirky accessories. You can easily while away the hours drinking coffee whilst soaking up the relaxed atmosphere and studying the wonderful vintage paraphernalia. We open at 08:00 ready to serve breakfast and we are very well known for our wonderful sausages and gorgeous granola! Our customers also join us for lunch, dinner and supper, plus there's always plenty of home-made cake available to suit any time of day. Boasting just a little...we are pleased to announce that we have been awarded the TripAdvisor Certificate of Excellence 2015. Thank you to our wonderful, loyal customers for your continued support! Fondly referred to as the SJT. The St James Tavern is well known as a friendly, traditional pub. We serve a great selection of traditional cask ales and popular beers. A great place to meet the locals,or why not get a team of friends together and join the infamous Tuesday Night Quiz competitors? We have a lovely little garden, it's a wonderful sun trap and a relaxing haven after a busy day. We serve traditional pub grub and only use locally sourced produce. Join us for lunch and dinner Monday to Friday or become part of the Brunch Club on Saturday and Sunday and experience our fine waffles and pancakes! With so much on offer, including live music events, weekend brunch club, curry and pint night and the best shortcrust pastry pies Winchester has to offer, how you can you resist a visit? So much more than a pub! It's a stylish, elegant and very grown up hang-out. 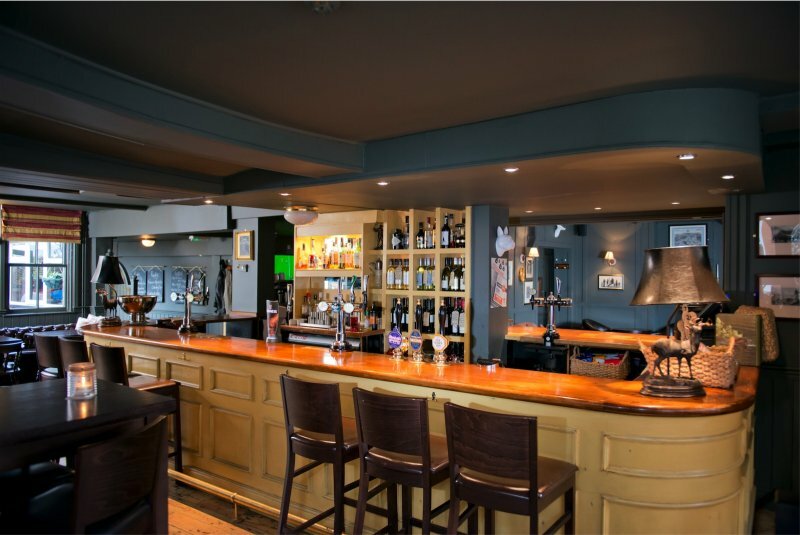 Serving traditional hand-crafted cocktails, very fine food, a great selection of wine and champagne and boasting, possibly, the largest selection of Gin on offer in Winchester. We have two fabulous function rooms,the Drawing Room and the Outhouse. Both rooms are available for celebrations including hen nights, birthdays and wedding receptions. Or looking for a unique meeting room? Look no further. Our Edwardian Drawing Room is sophisticated in style with a nod to Art Deco and the Edwardian era. The Outhouse on the other hand is very rustic and industrial in style. You'll even find tables to dance on! Don't forget we love a good party especially at Christmas and New year. Winchester's sporting bar for the discerning lady and her beau. Showing a plethora of sporting events in a friendly, comfortable atmosphere. The food here is more relaxed and is definitely modern pub food with an American twist. You can enjoy Mac 'n' Cheese or take on the challenge of the Mighty Duck Burger (not for the faint hearted or the easy quitter!) You'll find a fab new garden bar offering great cocktails...Tiki style, and a fine selection of wine and ale. See you soon for Mucky Sliders perhaps or to take in some cricket ? A hidden gem in the New Forest and wonderfully located for walking, biking or soaking up the peace and quiet. The pub is fondly referred to as the donkey pub as we certainly have lots of large eared, braying visitors keen to meet and greet our customers. The Foresters Arms in Frogham has always been a New Forest favourite. We've spruced it up a little and have given it a stylish, rustic and rather chic update. You'll discover an eclectic mix of tartan, exposed brick work, Geisha face cushions and traditional pews. 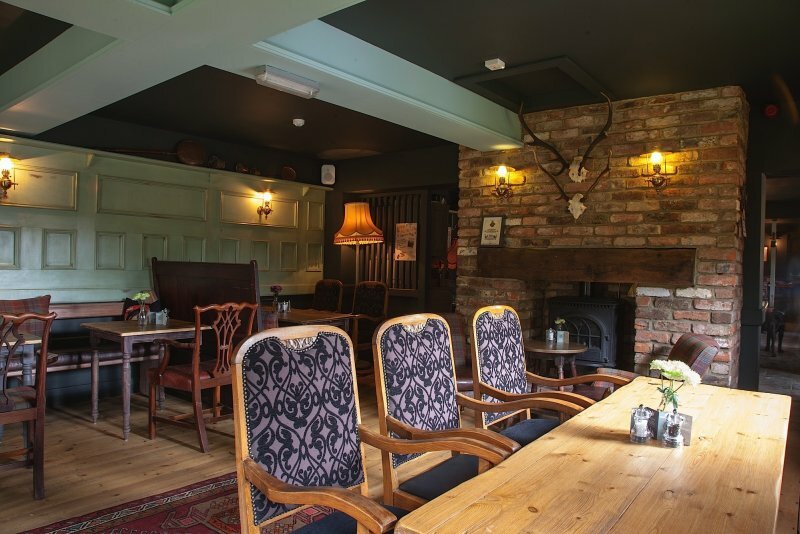 Dogs (on leads) are welcome in the bar, and there is a large sunny garden, complete with outside barbecue and bar; perfect for the long summer weekends and balmy evenings. It really is a treat of a pub with award winning beers, a great selection of wine, friendly locals, gregarious staff and of course a pub cat called Zoey...she's looking forward to welcoming you.